A business fleet can play many roles on behalf of your business: delivering to customers, picking up supplies, picking up customers, accelerating national growth, an incentive for employees, and even acting as a branded marketing tool on the roads. 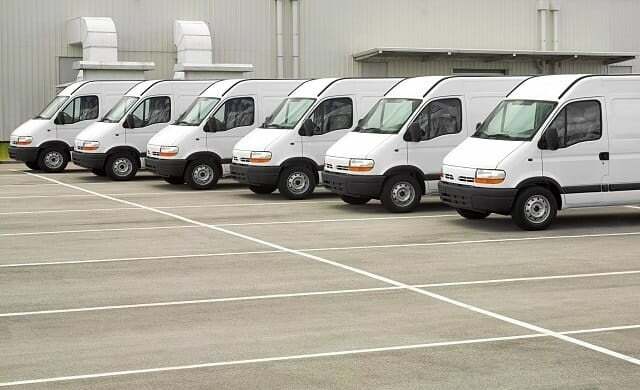 Nevertheless, running a business fleet can seem like a daunting prospect. After all, with temperamental vehicles and recurring costs, fleet management can be a near constant responsibility. This article will cover the main considerations business owners will face when running a fleet, and answer some of your most pressing questions. Creating a business fleet: what cars do you need? Should you lease or buy vehicles? “Managing a fleet can be a complex task. Fundamentally, it comes down to ensuring that it is running efficiently and safely, and delivering a great service. The cars you choose to make up your fleet will depend on what the purpose of your fleet is. Generally speaking, your company vehicles will either serve the needs of a specific task, or act as a perk to incentivise employees. The latter requires cars designed to appeal to your key talent. The sort of car someone might want to be seen in. According to Long, reliability is vital when choosing vehicles for your fleet: “We replace vehicles once out of warranty because don’t want them wasting time in the workshop. Should you lease or buy your vehicles? Most businesses use contract hire. This means the leasing company takes on the risks associated with car ownership. Don’t just go for the option with the lowest monthly quotes. Consider the reputation of the provider, and what sort of IT capability they offer. Because, as discussed below, a fleet management solution is essential to the smooth running of your fleet. Many now do outsourced management, so you don’t have to worry about logistics. Almost all include service and maintenance in the costs. While more expensive, buying the cars for your fleet gives you full control of your vehicles and costs. You should establish how much buying your cars will cost throughout their working life. There are many steps you can take to keep the costs of your fleet down. Here are our top tips. Fuel cards are another way to manage the spending of your fleet. Your drivers use them like credit cards to pay for their fuel, and then you settle the monthly bill. Using fuel cards allows you to monitor how fuel is used by individual drivers. You can also restrict certain types of purchases. Find out more about fuel cards here. Some cars and vans have a better insurance rating than others, so you can start off by researching and finding these vehicles. Many insurance companies have specific fleet insurance policies which work out much cheaper than taking out individual policies on each vehicle. Some providers will even give you access to a nationwide network of repairers and legal assistance as standard. Driver analysis software (discussed below) can be useful in the event of a claim. Leasing companies usually offer full maintenance packages at varying costs, depending on the type and model of vehicle. These are a wise option as, due to their significant economies of scale, leasing companies can negotiate much more competitive deals than you could on your own. Find out more about fleet management costs here. Fleet management software is a vital component of fleet management, helping you to keep track of your vehicles and monitor driver behaviour. Clearabee uses software to make its vehicles run more efficiently: “We’ve used a vehicle tracking system with intelligent routing from the earliest days of the business, and as we’ve added more trucks and teams, this system has grown with us. For Long, safety is another key advantage of fleet management: “Managing risk and road safety is now probably the most important part of managing a fleet. “We’ve recognised how important it is to recruit the right kind of driver and monitor and reward the right driving behaviours. Find out more about fleet management software here. Running a business fleet requires hard work and diligence, but a well-managed fleet can reap great rewards for your business. By carefully considering your business and its needs, you can assemble a fleet of vehicles that helps provide superior customer service and accelerates growth. Click on the links to answer any of your burning questions about fleet management.